If you need closet organizers to control the chaos in your Tuscaloosa, AL, home, consider turning to the home improvement professionals at 31-W Insulation. For more than 40 years, we’ve helped our customers satisfy their home improvement needs and are proud to offer our closet organizer installation services to Tuscaloosa homeowners. When it comes to closet organizers and home storage solutions, we proudly use the products of ClosetMaid, one of the leading manufacturers of home closet components. These components are designed to stand the test of time, so you can be sure that they will remain functional and look great for many years to come. You will be amazed by how closet organizers can restore order to any closet in your home. Configured to your specifications and tailored to meet your needs, your organizers will help control the chaos in any room in your home, including the kitchen, garage, laundry room, and your children’s rooms. 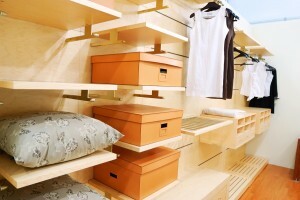 If you’re ready to control the clutter in your home and install closet organizers, contact the team at 31-W Insulation. And if you have other improvement projects to complete in your Tuscaloosa, Alabama, home, we can help with those too. We install shower enclosures, marble fireplace surrounds, gutters, and many more home improvement products.